OTG participant, Darielle Teitelbaum recounts her experience on our latest retreat to the running routes of the culturally rich Chiapas, Mexico. Sunday calls for two things over here at OTG. One, a long run and two, a real good breakfast. So go for a run and then make yourself a stack. While in the Mexican region of Chiapas we'll have a chance to take in the Fiesta de San Sebastian. Check out this interesting list to know. Are you getting excited yet? We sure are! And this little playlist put together by our very own Kortnee Borden is helping us get in the mood. In June, two members of the OTG team travelled to an island paradise with some friends and family. While they definitely spent time with the sand between their toes, they also made sure to explore with some runs. Justin Close, a retreat regular, talks escaping your comfort zone, Mexican terrain and temazcals in this first hand account of OTG Oaxaca. 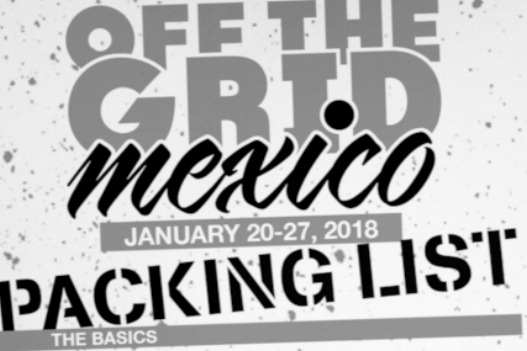 If you're heading to Chiapas, Mexico for our upcoming retreat then you need to see this list put together with our good friends over at Bond Running. Chef Kortnee supplies you with your next post long run meal. A delicious egg and tomato based dish that's perfect for brunch on Sunday.